A high-functioning office phone system can be a valuable addition to your business. Regardless of your goods or service industry, the correct phone system can be a huge asset to your operations if you choose the right one. The phone system options for your business range from basic to complex. Here are key factors to consider when choosing an ideal office phone system. The first thing you should consider when buying anything is the price. How much is your business able to spend on a new system? Does the phone service come with phones, or will you have to buy those separately? Depending on how large your business is, a phone system could be a big purchase. Determine whether you can afford to pay a large sum upfront or space the payments out for months. Considering the amount you are willing to spend on your office phone system will also help you ascertain the type of system you can obtain. An important factor in choosing the right phone system for your staff is location. If your employees are typically not sharing a space, you might want to consider a virtual phone system. This type of system uses the internet, so employees at home can access all the information they need to. However, a classic landline might be ideal if you have a designated office space. Your employees location is the best factor to use when deciding what type of phone system to purchase. Outlining their needs can help you choose the best one for your business. Once you consider the location of your employees, start researching the different types of phone systems. As previously mentioned, there are both physical and cloud-based systems. The benefit of a cloud-based office phone system is that it is easily accessible for your internal team or telephone answering service. However, landlines are secure and reliable. The type of office phone system you should choose depends on how often you will use the system and your personal preferences. It’s important to consider how easy each system is to use, so your staff can continue working diligently without too much adaptation. If your office phone system is your business’s lifeline, it’s important to make sure the new technology integrates with any existing practices. This is why more business owners are leaning towards a virtual office phone system. The software can integrate with other aspects of your business to improve customer support and analyze time management. It automates and regulates your business’s activities. Although some people enjoy the digital assist, some need only the basic phone functions to succeed. Consider whether or not your business needs its phone system to be compatible with other technologies. Although markets are constantly changing, some businesses succeed by sticking to tradition. 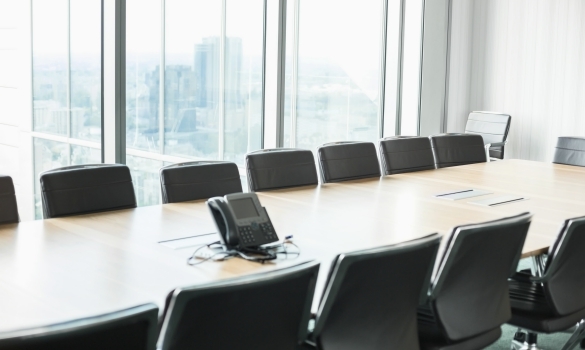 When choosing a new office phone system, it’s vital to consider how the transition will affect your business and employees. Pinpoint why you need an office phone system, or troubleshoot why yours isn’t working. Figuring out what’s working for your business and what needs to be improved is the best way to move forward. If the new phone system requires an enormous amount of training, it may actually hinder your employee performance. Be sure to think about how your employees and customers will be affected before trying to implement a big change. Choosing a great office phone system doesn’t have to be stressful. Considering a few key factors can help you in determining the most appropriate system for your business. Your budget is a major consideration, as is where your employees work from. Research the different types of phone systems, and how compatible they are with your current operations. Think about what is the most convenient and advantageous to your business. Contemplating these key factors will help you choose a great office phone system.